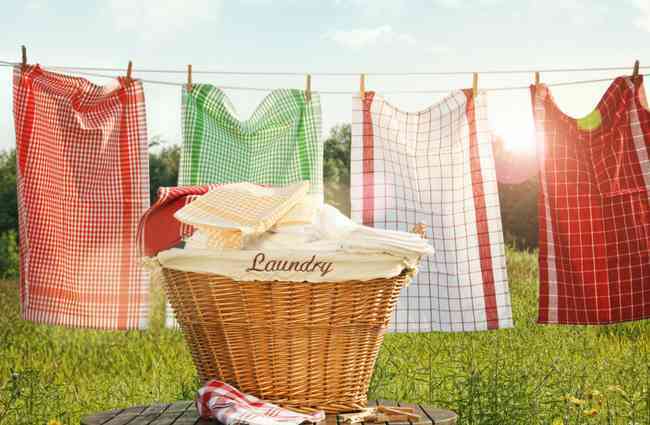 Homemade laundry detergent has never been easier! And you can use it in your HE and traditional washing machines with equal success. I love a good DIY that is easy to make and saves my budget, don’t you? Well this detergent recipe is right up there with my favorites. Great smelling, easy to make and pennies per load. And NO COOKING! 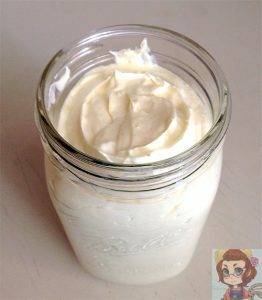 I named this homemade laundry soap Laundryonaise because it looks like a jar of mayonnaise, to me. You can make this detergent recipe 15 minutes or less and washes like a champ! I have been using this homemade laundry detergent in my HE washing machine for years without any issue. Just make sure you do not put it in the soap dispenser – put in directly in the machine. 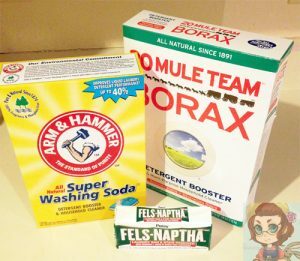 COST – I am able to buy all the ingredients for this homemade laundry detergent for less than $10. The ingredients for both, combined were about $1.80 each; so I literally do a load of laundry for just pennies. Cut your Fels-Naptha Bar in half. Then take each half, one at a time, and dice it up into small pieces. Pour 1.5 cups of the nearly boiling water over the diced soap in each of the mason jars. Heat up another 2 cups of water (truth be told I just filled my tea kettle). Now take a butter knife and loosen the gelled soap concoction in the jars. Scoop a heaping spoonful out of your jar and put it directly into your washing machine. I often put min on a washcloth and throw that into the washer. NEVER PUT THIS HOMEMADE LAUNDRY DETERGENT IN YOUR SOAP DISPENSER! There you have it, an easy to make no-cook homemade laundry detergent that you can use in HE and traditional washing machines. 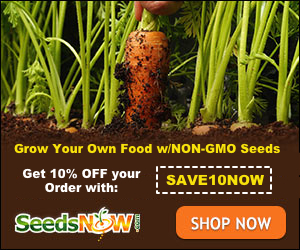 A great DIY project that won’t take a ton of your time and saves you money to boot. WINNER! 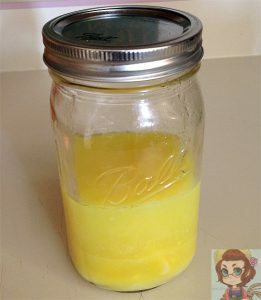 I have a question about the Homemade Laundry Detergent. When you say to use a spoonful in the washer, what size spoon are we talking about? An email answer would be greatly appreciated! I just use a large spoon from my kitchen and take a heaping scoop. You might have to play with it a bit to find what works best for your machine. Like the large spoon that is part of your set of silverware (what we call a tablespoon), or a larger serving spoon? I’ve had some of the shelf for months, but with kids and animals I’ve never had to keep it longer. How does it hold up to general body “funk”? The last DIY detergent I tried was awful and I believe it was the same ingredients. I think it does a great job of getting out scents and stains. I have read other posts about homemade laundry detergent gunking up water lines over time. Has this been an issue for you? No, I haven’t had this issue. Hi there! I’ve been using homemade laundry detergent for years but def feel like it lacks in knocking out all the odors/stains. Same ingredients you’ve used but I do cook it. I saw above someone asked about odors and you answered, hoping it’ll be as good for me! I normally make 8 qts out of one bar of soap-hoping the increased potency of having the San in two qts will be all the difference. What size spoon do you use to take a hunk out with? A cooking/serving size or tablespoon? Thanks! A regular large spoon (little more than a tablespoon). Add Biz or Oxy White Revive to your loads. About how many loads will one jar typically wash? Oh gosh, I’ve never kept count. Ok I made this today and it came out a little on the runny side. It looks like mayo but slightly thinner, where did I do wrong?